We all know it is not easy to diet, it takes a lot of will and concentrate, but with discipline and perseverance you will get to enjoy your success. Movement is an important factor when you want to lose weight or keep our body healthy, but going to the gym and working out the machines is not for everybody. Because, let’s face it, fitness can be very boring. But how about more enjoyable ways for getting toned? Let’s have a look at ten alternative fun ways for exercising. Like the invention of all great things, Zumba began almost accidentally in Columbia. Its creator and aerobics teacher Beto Perez realized that he forgot to bring music to one of his classes. Perez used the music he normally listened to, namely salsa and merengue music. Forced to improvise an atypical music aerobic class, the aerobics teacher designed a new type of movement, combining Latin dance with fitness moves. The improvisation turned out to be a great success and Beto was soon forced to organize special classes of aerobics with Latin music. After the success he had in Columbia, Bento launched his new fitness program in the United States and within a few years, Zumba experienced international success. Because it includes a wide range of simple but highly effective moves, Zumba works many muscle groups and is ideal for toning and body sculpting. On the other hand, because it is a cardio activity, it help you burn fat fast. One hour of Zumba can burn up to 1.000 calories. Over the past years, belly dance has become an international phenomenon, many women turning to it after being fascinated by the rhythms of oriental music and beautiful odalisque in the desert. Belly dancing is an excellent way to get rid of calories, but also enhances the body’s resistance. Easy to practice and very fun at the same time, it is an excellent cardio exercise. Elaborate movements will help you rediscover your femininity and enjoy it every day. So, if you learn the right moves, you can put them into practice and seduce your partner. Belly dancing is also a great way to fight osteoporosis, because it strengthens the pelvic bones, the feet and the inside of the thighs. Because of the fact that this type of exercise works with the abdomen and lower body, you will get rid of the extra fat on your belly in no time. In less than two weeks of training you will witness how your body becomes more defined and your abdomen muscles are highlighting. Movement, a group of friends, music, outdoors… that is what street dance is all about. This sport means freedom of movement, expression and dissent. Most times, street dance moves are improvisations that encourage interaction with other dancers and even viewers. In general, the term “street dance” is used to describe a hip hop and funk dance that emerged in the U.S. in the ’70s, today evolved in many styles like breakdance, popping, locking, hip hop new style, house dance and electro dance. It is important to know is that these types of dance are very popular today, both as physical exercise, but also as a form art and competition practiced in dance studios and in other areas. Street dance is a sport that provokes attitude ans character, and is synonymous with synchronization, self-confidence, originality, diversity and a burning desire to move. Tennis is a clean game in which cheating has no business and the players respect each other. It tennis remains one of the most beautiful sports, which requires both elegance and spectacle. If you really want to move, tennis is the right sport. You put a lot of effort practicing it, running across the field, sweating, panting, but you have to coordinate your moves and put your mind to it. It’s a complex sport that requires reflexes, speed, strength, insight, skill, courage, grace and rhythm. 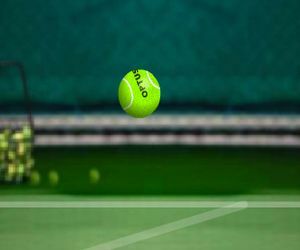 Tennis stimulates the neuropsychological part, thus developing the player’s attention, resistance to fatigue, perseverance, situation analysis and decision making, together with visual-motor coordination. You can practice it at any age, if you stay in good health. But if you want to do performance, you must have a certain physical condition. Besides being fun, rollerblading has many benefits on the body. And because such nice weather simply invites you to enjoy it, you have a good excuse to take your rollerblades with you and do some exercise. Even if you do not like sports, you will see that rollerblading is really nice and if you convince two or three friends to accompany you, time will fly so fast you will not even notice. Rollerblading is all about balance and center of gravity. It improves your mobility, reflexes, endurance and increases your resistance and last but not least, it regulates the heartbeat. But with 50% less shock on the joints. And in the muscle chapter you will do just great: legs, thighs and lower back area. If you move your arms at the same time, you will work almost your entire body. And here comes the really good part: buttocks, thighs and abdomen will be toned after a rollerblading session. … improves blood circulation. Therefore, people who regularly go cycling have lower risk for developing swelling and varicose veins. It is also indicated as a method of training your tendons, ligaments and joints. In this respect, it prevents diseases such osteoporosis, tendonitis or osteoarthritis. Due to the better oxygenation of the brain as a result of cycling, intellectual capabilities are enhanced and mental condition improves. Responsible are endorphins, substances which are released by the brain during physical activity. This type of exercise improves respiratory capacity. Specialists say that cycling is a great method for preventing respiratory diseases. Should I go on with the list of benefits? I think you got the picture. 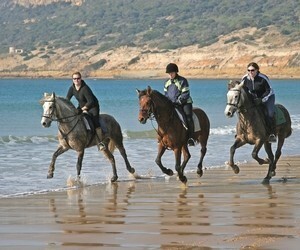 Horseback riding is truly a delight. Riding really helps you strengthen your balance, coordination of movement, concentration and attention, together with a beautiful posture, strengthening of back muscles. We’re not talking about any regular sport. This one is all about enjoying nature and communicating with animals. Don’t ever think of yourself as master of the horse. The main idea of this sport is to learn how to communicate with a horse and become one with him. Remember that things can always get unpredictable with these noble creatures and you can fall down. It is the reason why horseback riding releases you of all the stress accumulated before, as you have to really concentrate and be prepared for anything. Practiced regularly, horseback riding will get rid of rebellious kilos that simply won’t go away with traditional methods. Another noble sport. 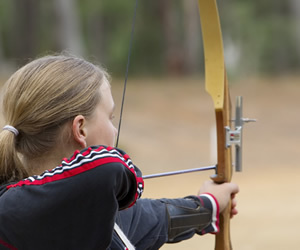 The main benefits of practicing archery are related to balance, coordination and perseverance. The person practicing this type of sport will learn patience and attention and gradually increasing concentration. Coordinated movements, carefulness and high accuracy. Archery will also tone muscles and improve posture. This is where you really start to have fun and work up a sweat without even knowing it. Laser tag. Communication is essential with this type of sport, because you’re part of a team which has a goal: defeat the opponents. You’ll be running around, with your arms kept tight on the weapon. 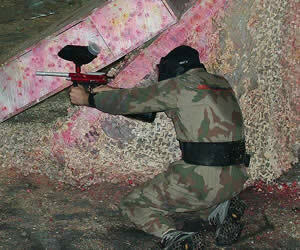 Ever since it first appeared in 1979 laser tag has evolved in full on competitions and real strategies. 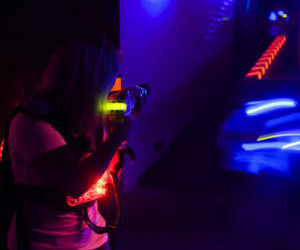 You got this one figured out: it’s the messier type of laser tag. Do you know any other fun ways of exercising?